One evening I was making some salad and I wasn’t totally sure what I was going to have with it. I just didn’t want to have lentils again. 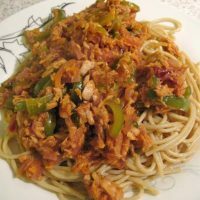 I normally have lentils twice a week and sometimes it just gets boring but it’s not that easy to come up with a quick and healthy meal which is vegetarian as well and doesn’t contain lentils or chickpeas. I eat those a lot as well. Just to be clear, I am not a vegetarian, but my diet is 90% vegetarian with fish or seafood on a plate normally once a week. I don’t buy meat. I used to eat chicken but not anymore. So I chopped some fresh vegetables that I had in the fridge, put them in a bowl and then on the spur of the moment I decided to make a cold pasta salad! I’ve never made a cold pasta salad at home before but I’ve seen it in supermarkets, only that those pasta salads were covered in fatty dressings. I decided to make mine much healthier. Instead of white pasta, I used organic wholegrain spelt pasta, much healthier alternative as it contains more fibre and protein. You can buy organic wholegrain spelt pasta on Amazon if you cannot find it in your local health store, but buying in bulk is obviously better since it works out cheaper. For the dressing, I simply used extra virgin olive oil, lemon and salt. You could add some pepper to it as well if you like. I also added some chopped parsley on top of the pasta which was a good idea as it really complimented all the flavours. I was so happy with the results! It turned out really delicious and this could easily be your lunch for work as well. I had it for my dinner. See the recipe below. Fill a medium-sized saucepan with enough water to cook your pasta in, add some salt and bring to boil. Add spelt pasta and cook for around 8-10 minutes depending on how firm you want it to be. While pasta is cooking prepare the vegetables. Chop cucumber, tomatoes, avocado, radishes and black olives. Also, chop some parsley to have it ready for later. Keep it separate. Add all the vegetables apart from parsley to a medium size bowl and pour over the dressing which you made of olive oil, lemon juice and salt. Stir to combine. Once the pasta is ready, drain and cool by running cold water over it. 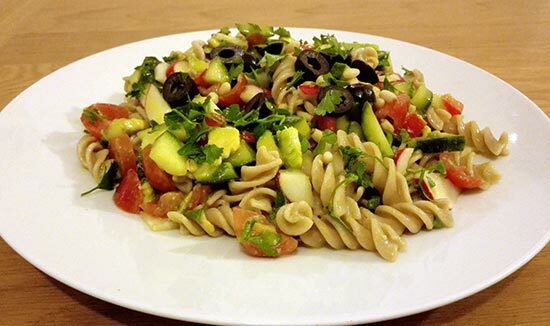 Combine pasta and salad in a bowl and when serving add chopped parsley and pine nuts on top. Delicious and healthy dinner or lunch ready in less than 30 minutes! You can make this extra delicious by adding some feta or goat's cheese on top. You could experiment with vegetables you use in this pasta salad, so you could try adding spinach, grated carrots and even chopped courgettes. Thanks Helen! I will definitely be making it again! Thanks Alison! Yes, this would be great for a packed lunch as well. I love the freshness that parsley adds to a salad! 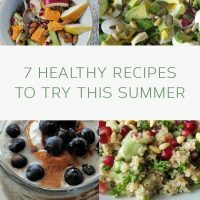 It’s a lovely healthy recipe too. Adding parsley makes a big difference, I love it too! I am glad you like it Vicki! Spelt pasta is definitely better than wheat as it’s easier to digest, so I highly recommend it.